(SitNews) - Play literally shapes our bodies and our brains. When we play we’re less stressed, better adjusted and more creative. Play is as basic a natural phenomenon as sleep. When play isn’t a regular part of children’s everyday world, the negative effects can be long lasting and have profound implications for their lifetime health and the health of their community. 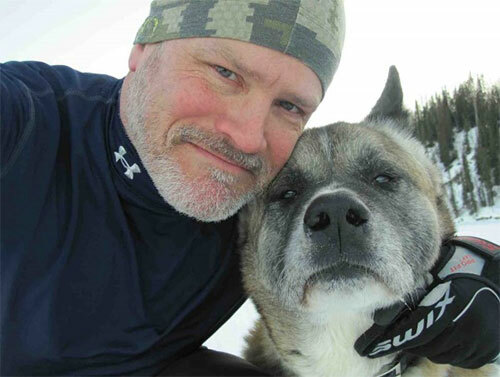 Exercise scientist Robert “Trey” Coker of the University of Alaska Fairbanks’ Institute of Arctic Biology gets dogged about good health. “When you can start to view physical activity as part of your normal everyday life, you develop a stronger sense of well-being for yourself and your community,” said University of Alaska Fairbanks exercise scientist Robert “Trey” Coker. He studies nutrition, physical activity and cold exposure, and their effects on health and longevity, at the UAF Institute of Arctic Biology. Coker will speak about his research during the Positive Leadership for Active Alaskan Youth Summit in Anchorage Feb. 19-20, 2016. Coker’s research subjects run the gamut from couch potatoes to extreme athletes, from kids to the elderly. His work also addresses special-needs groups, including military members, firefighters and people hospitalized or incapacitated due to injury or illness. Coker’s presentation, “The Efficacy of Physical Activity Programs for Alaska Native Children Living in the Remote Arctic,” will highlight research on the effectiveness of Skiku, a cross-country ski program for 8-12 year olds in Shungnak, Alaska. The program’s goal is to get kids outside playing in the winter. It also may develop their interest and skills in a sport that they can participate in for a lifetime. In the spring of 2014, with the encouragement of Shungnak community elders, Coker, his graduate students and Flora outfitted almost 20 kids with monitors that gathered data on physical activity and sleep quality. The Shungnak work established a baseline of physical activity. It will be important to assess the sustainability and long-term effects of the program, Coker noted. In 2016, Coker’s research will extend to Kotzebue to see if the program is equally effective in a more urban community. He is also collaborating with UAF behavioral health scientist Stacy Rasmus to investigate connections between physical and behavioral health. Rasmus is a scientist at IAB’s Center for Alaska Native Health Research. “The more we can develop a menu of healthy behaviors for kids and a community that supports those behaviors, the better the health and the happiness of the kids and the community will be,” said Coker. MARIE THOMS [methoms@alaska.edu] is a writer for the Institute of Arctic Biology.